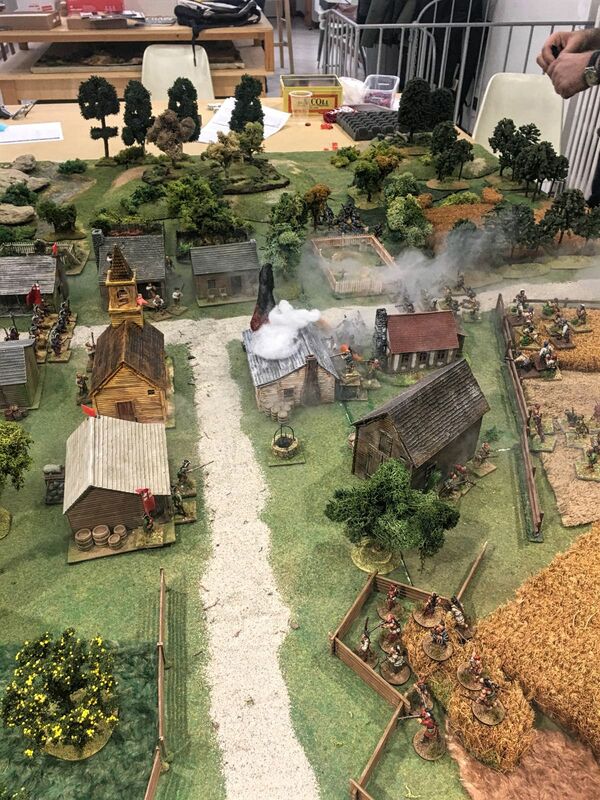 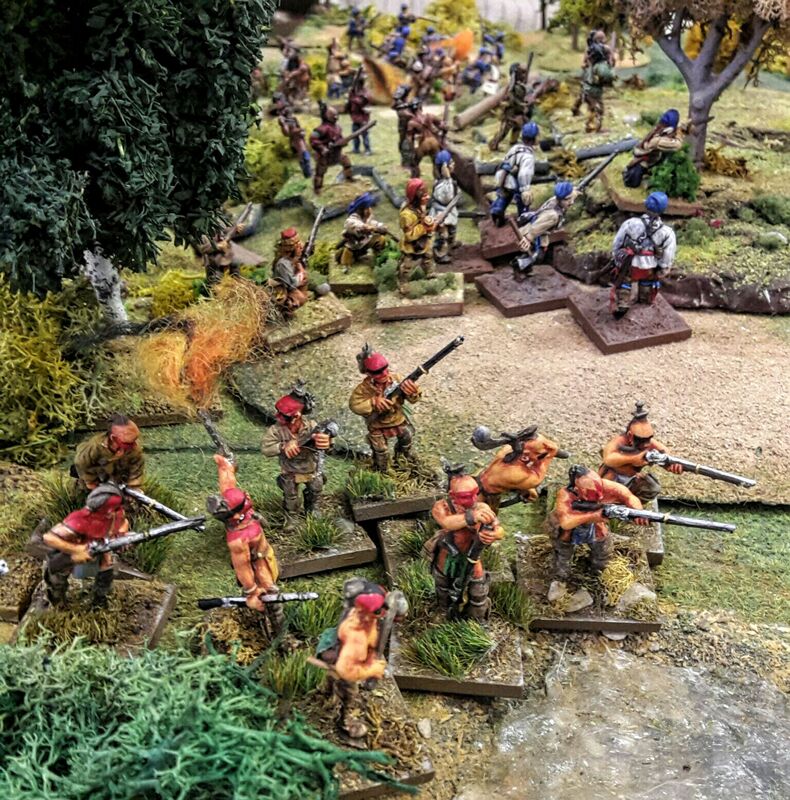 Before Christmas Ezio organized a battle using TMWWBK and miniatures of the french indians wars. It is not the right period for this game system but he adapted a bit the rules and so they played a game. 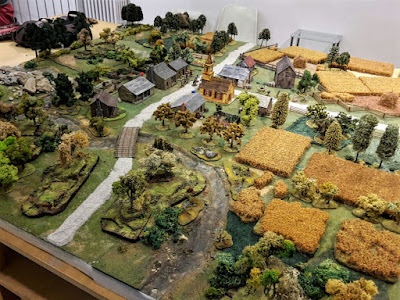 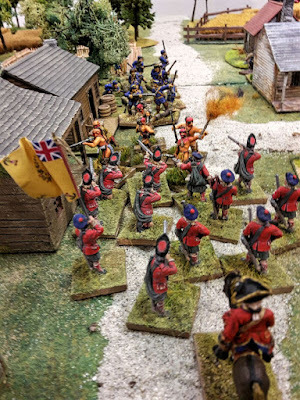 We prepared a lot of miniatures for French-Indian wars and it will be a waste not to use them ... unfortunately I was on holiday that day so I couldn't play ... it will be for the next time. 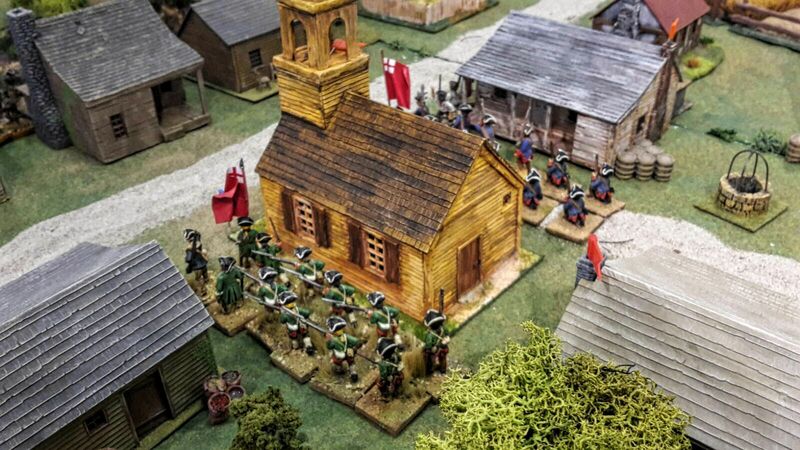 The scenario was: Springs 1755, Ohio valley. Bands of indians and their French allies continue raids against American villages and the troops of his Majesty have to defend them. 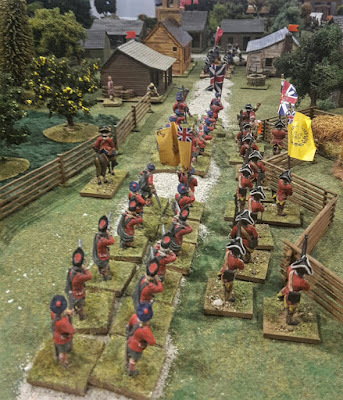 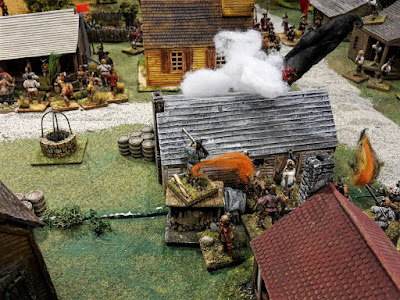 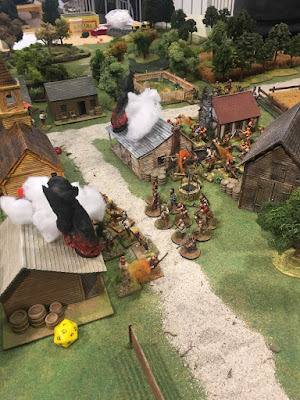 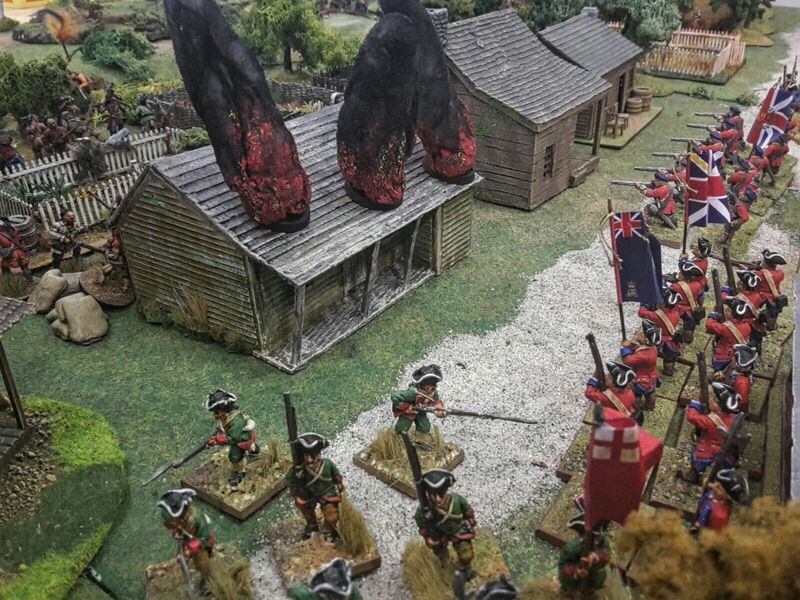 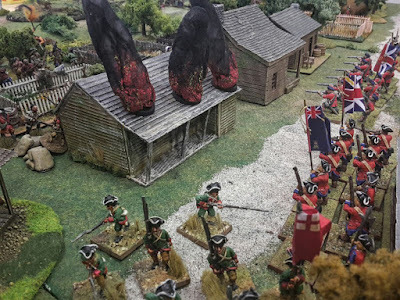 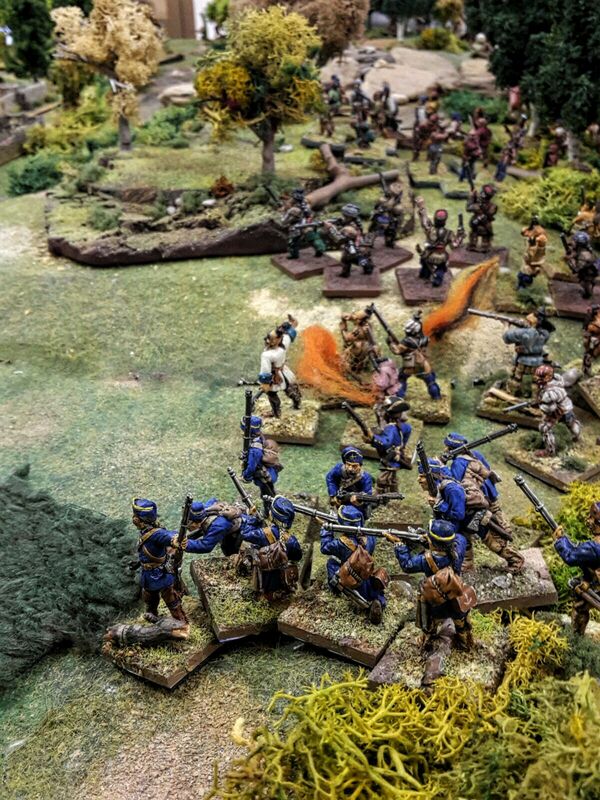 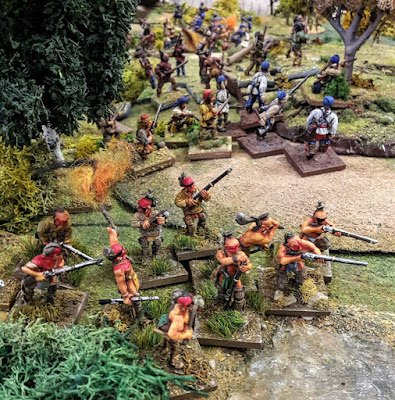 Miniatures are 28mm and are painted by: Ezio, Riccardo, Maurizio, Giancarlo, Flavio, Marco T. and Alberto M.
For the game they prepared: 8 French and Indians units (96 miniatures) and 10 English-Militia companies (120 miniatures). My mates played the battle twice. 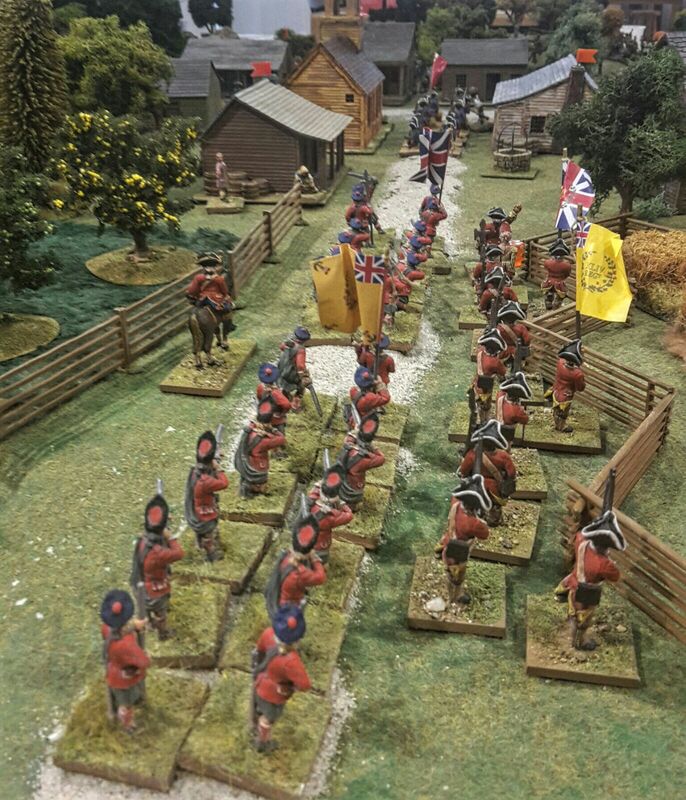 The first time was an English victory while in the second one the Indians sack the village.